This frame has been sitting in my garage for almost 6 months now. It's about time to build it up! Most components are already at LBS. Just pending the bottom bracket which is scheduled to arrive mid this week. Hopefully everything will be in place to build it this Friday! Can't wait! 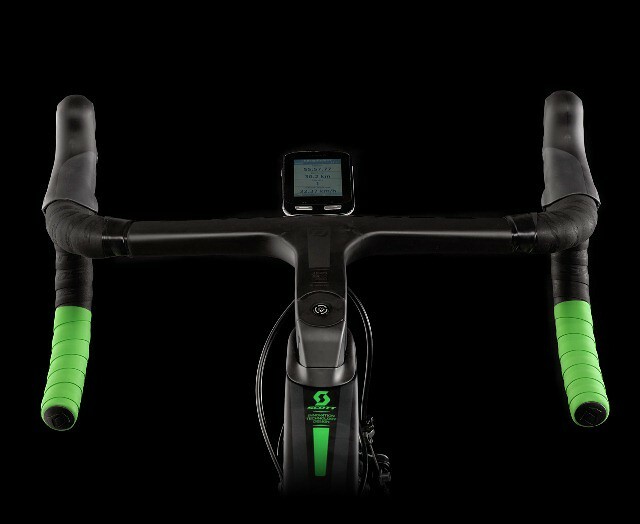 Will be wrapping the bar like the new Scott Foil 2016 below with the green being the white. I rode mostly on the hood thus it will be more practical to have the black on top. 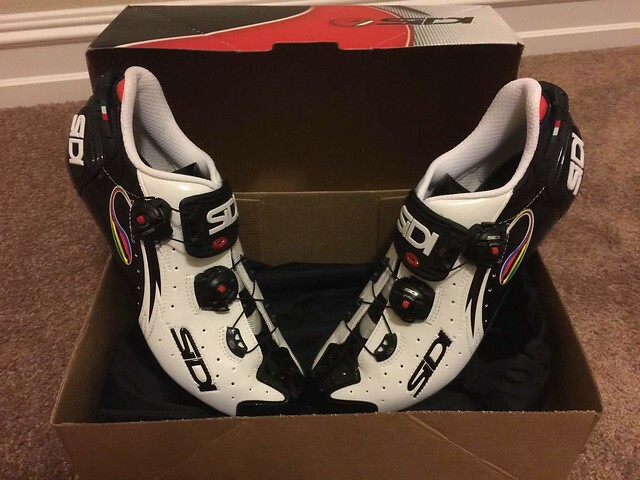 Also got these bad boys to go with the new bike! Last edited by survivor on Mon Apr 08, 2019 7:33 pm, edited 2 times in total. That's one special frame, good luck on the build! Why are you going for 25mm front and a 23mm rear tyre?? Please don't forget to post some photo's when it's ready. Tomstr wrote: That's one special frame, good luck on the build! The choice of the tire is to best match the ENVE 4.5 rims width to minimize tire-rim width overhang. ENVE 4.5 front rim external width is 27mm while the rear rim external width is 25.5mm. I think I've seen that page before, but will definitely read it again...great info and thanks for posting. Money no object that would be my bike! Man...just saw STAGES announced the second generation pod design on their power meter at EUROBIKE. Pretty sure the one I order a week ago will come as the existing first generation pod design. A new design coming out one week after my order really left a bitter taste in my mouth. Has drop STAGES an inquiry to see whether there is a possibility of exchange to new design for customer like me. Finger crossed! Just heard back from STAGES, I am still able to return the current one (unused) I ordered and they will ship me the new design once it is available but that won't happened in couple more weeks. I don't really feel like delaying my build. Looks like I will go ahead and use the current STAGES power meter. What a puurfect time to build up a bike - BANK HOLIDAY WEEKEND!!! Looks like my Garmin Edge 520 won't be coming in time for the new bike. Ordered since Aug 4th but status is still in process. Will resort to my existing Garmin Edge 500 for now. Was thinking whether to get the Garmin Edge 1000 instead which is in stock but the compatibility issue with ENVE Garmin mount held me back. Besides, features in Garmin Edge 520 is almost comparable to Edge 1000 aside from mapping and Wifi which I am ok to live without. The ENVE bottle cages are also pending stock availability which ENVE mentioned will be in before or by Sept 7th. Luckily these are all stuff which I can get them installed later. All essential components should be ready for the build tomorrow per my last check in with LBS this evening! Big day tomorrow! survivor wrote: Luckily these are all stuff which I can get them installed later. You know your not going to get knocked down building the cycle. Sure. It's just an article examining data gathered from third parties, most of which have rubbish methodology and beyond questionable results. The Crr tests don't actually cover real world conditions (where even the best tyres struggle to hit .005), the aero test is an absolute joke (not only are tyre wheels interactions unique depending on the wheels being used, but just using Flo as an example is useful to pretty much no one, and not to mention the stall at 10 degrees on the Vittorias looks beyond dodgy) and not just for tyres, the other 'aero savings' quote are pure supposition (shoe covers and no gloves will net you 8w? Not on this planet...). I could go on and on, but I don't have all day. And yes I know this because I test. A lot. In fact I just got back from another two hours testing at the velodrome this morning. If you want meaningful data you won't find it in that article. Wiggo or Dumoulin the better time trialist? by octave » Thu Feb 28, 2019 4:08 pm » in Introduce Yourself / Gallery - Please use metric weights. 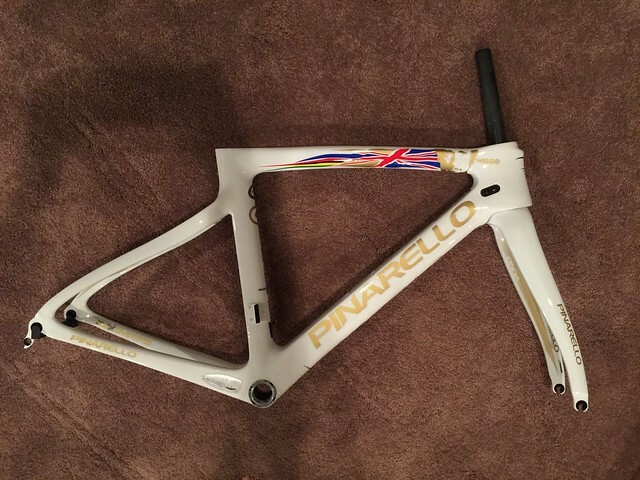 Pinarello F8 - no more in US?